Flying in close proximity to objects to get a good view for inspections is only safe in certain conditions. 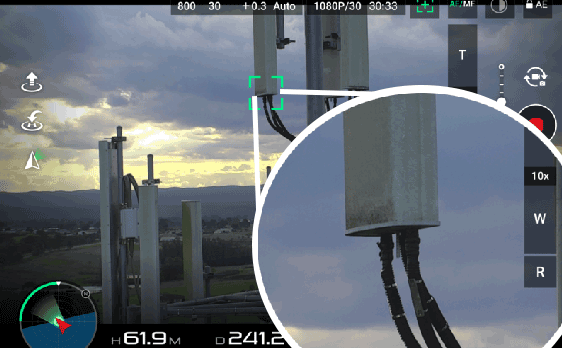 We have purpose built cameras with optical zoom to enlarge your image without degrading the quality. Technically we have 3.5x and 30x zoom cameras, these are just marketing terms used to sell more cameras, and not all camera are created equal. Let Ascend’s images speak for the quality of our deliverables. Or schedule a demo with us! New uses for thermal imagers are coming to light every day. 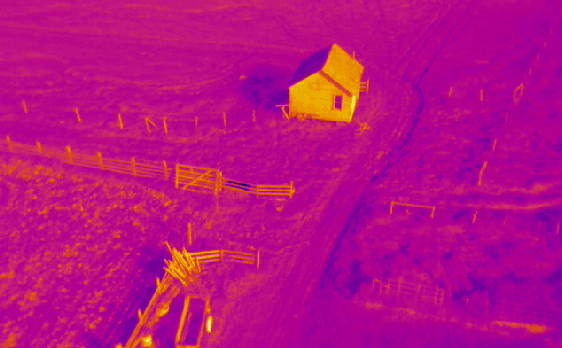 With the UAV market driving innovation to make smaller, lighter, and less expensive sensors; more companies are finding uses where thermal imagers have never been considered. Examples include; level of product in rail cars and holding tanks, worn or stressed power lines and insulators, defects on wind turbine blades, pipeline leaks both above and below ground, missing or damages insulation. Contact us today to find out where thermal imagers may be use in your operations. 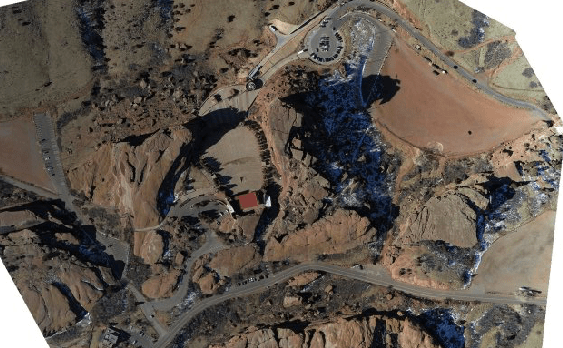 High resolution large scale maps are now easier then ever to create. By flying over a large are taking photos we can stitch each small photo into a single file that encompasses your complete area of interest. This allows you to get a large scale view while also giving you the option of zooming in very close to see details previously only available from a field visit. Volumetric measurements used to be taken by surveyors climbing up and down and all around piles and pits. While that takes alot of time, and ultimately is not a safe way to survey especially in a active construction site or mine. A UAV can fly taking overlapping images and through our industry leading software can calculate volumes more accurately then the surveyor. 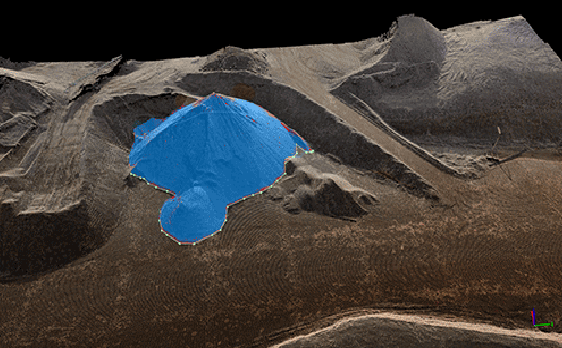 The only more accurate way to collect could be the use of Lidar, but there is alot of room for error in the processing of ground based lidar datasets.